Participation is a human right, and it brings better results. Our work started in youth participation, supporting the rights of children and young people to shape the decisions and services that affect their lives. Today we also work on participation processes in many settings, from open government to mental health to user engagement in research. Community is vital. Whether its a local neighbourhoods, or a global community of practice, groups discussing and working together are a key force for social change. We work at the grassroots, supporting local planning and delivery, resident leadership, and community campaigning - and at a global level, building networks that bridge between research, policy and practice. We need social change organisations that are fit for purpose to deliver on their vision and mission. Our work, rooted in years experience with small and large organisations, aims to support them through strategy development, coaching, facilitation, reflection and review. All projects today have a digital dimension. Technology choices should not be an afterthought - but should be a core part of any strategy. Digital tools shape the way projects are delivered and experienced. We connect in-depth research, with accessible explanations and capacity building to support critical, inclusive and effective use of data and digital technology. Strategy, planning, facilitation and action for big and small projects. From one-off workshops on project design, to co-designing new initiatives with you, and setting them on a sustainable path to success. Supporting change with insights, analysis, tools and publications. We undertake both short term research commissions and multi-year evaluations. We're committed to participatory research approaches and to shared learning. Working with partners over the long-term. We'll provide mentoring, capacity building, support and external expertise and input when you need it most. Based in the UK, we work right across the country, as well as on international projects. To discuss how Practical Participation could support your work, just drop a line to any of the team below. Bill's current focus is community development and neighbourhood regeneration. Through Big Local, he supports four of the 150 areas to help make communities even better places to live. His background is in probation, social care and community social work, including national policy influence on groupwork with young offenders, preventative intervention and the role of the voluntary sector. 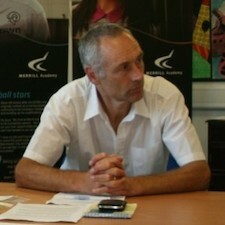 He remains a practice educator for social work students. Bill continues to promote children and young people's participation as their human right and as the keystone to securing a good childhood. National programmes he has managed include the Children's Society's Children in Communities, The National Youth Agency's participation strand, Young Minds' VIK project and Young People Friendly Neighbourhoods. He is co-author of Hear by Right participation standards and author of Act by Right, skills for young people to help make change happen. A Co-Director of Practical Participation since September 2009, Bill supports organisational change through training and consultancy and written resources, such as Leading for the Future created with Alex Farrow and the Woodcraft Folk and the introductory resource, Leadership and Management. You can find Bill on Twitter. Jennie has been supporting organisations to have a positive impact for the users of their services for decades by providing consultancy, training, research and evaluation. She has a particular interest in developing approaches that lead to learning, dialogue, action and change. Her experience includes participatory research, especially the involvement of young people, community members and service users. She has extensive experience working with public and voluntary sector institutions, multi-agency partnerships, NGOs, government departments and agencies in a wide range of participatory evaluation, research and change projects. Jennie started working in youth, community and social work in both the voluntary and statutory sectors. She was Reader in Participatory Research and Social Action and Director for ten years at the Centre for Social Action at De Montfort University. She worked on many international projects, including those in the USA, South Africa and Russia, Ukraine, Moldova. 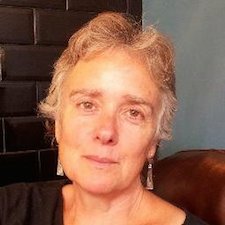 Jennie is co-author of Empowerment in Action – self-directed groupwork, Supporting People towards Person Centred Support and co-editor of Involving Children and Young People in Health and Social Care Research, as well as being the Editor of Groupwork Journal. She is also a Co-ordinator of Social Action Net, an umbrella organisation seeking to promote discuss and debate about the use of Social Action, participation and social justice. Tim Davies has been exploring the intersection of youth engagement, social justice and social technologies for the last 10 years. Between 2003 and 2006 Tim was a part time trainer and consultant with The NYA, and in 2005 established Practical Participation as an independent limited company supporting youth participation through the effective use of technology. Tim graduated from Oxford University in 2006 with a BA in Politics, Philosophy and Economics, and, after a short time in which he was juggling work with The NYA, Practical Participation and as the marketing manager of a Fairtrade shop, Tim developed Practical Participation into a full time enterprise. Since then, Tim has been the lead researcher on the Youth Work & Social Networking Project, leading to the development of internationally recognised work on youth engagement and social media; and has been actively exploring a wide range of innovative participation and technology projects. 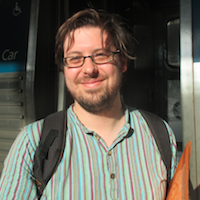 For the 2013/14 academic year Tim was a fellow at the Harvard Berkman Centre for Internet and Society, working on democratic aspects of open data and open government. He is now an affiliate of the centre. Tim blogs here, and can also be found on Twitter. To explore new project opportunities you can get in touch direct with any of the directors. Each of the team focus on particular speciality areas. On a number of projects we also work with a network of associate consultants, including the team below. Alex Farrow has over six years experience working on youth participation and skills for young people. He spent 5 years working for the National Youth Agency working on, evaluating and developing plans for the participation of children and young people in decision making using Hear by Right. Until recently, Alex was Co-Director of the UK Youth Climate Coalition and over saw it’s development from a small, unfunded voluntary organisation to a organisation with over 50 volunteers and project funding. Young People Friendly Neighbourhoods has become synonymous with communities taking action to support their young people in times of hardening social attitudes and 60% cuts on average to youth work. YPFN was a government funded England programme across 20 neighbourhoods, led by Groundwork. Bill co-ordinated the support team through a partner organisation, FPM, enabling local partnerships to build sustainable community-led provision for open-access and targeted youth work. Housing Associations, such as Affinity Sutton (Clarion), proved vital local partners in brokering community conversations and energising long term solutions. The programme also fostered new youth work organisations in youth mutuals, as with Circle Crew for Change and Young Lambeth Coop. These are the summary findings, setting out six core challenges. We continue to fight for youth work in these difficult times. Bill supported Brighton’s campaign to save their youth services through a national event of young people sharing their own successes. Jennie has been working with local youth organisations to ensure young people have greater voice and influence over the support and provision available to them, for example with consultations with young people at Mahdlo Youth Zone and non-management supervision with the participation lead for Youth Ambition Oxford. Practical Participation continues to support organisational improvement and change through training and consultancy focusing on leadership and management. In addition, we have created and made freely available two resources. 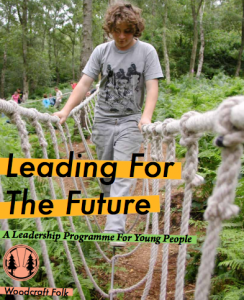 Leading for the Future is a resource created by Practical Participation working with The Woodcraft Folk. It is designed to support individuals and local groups of all ages explore and develop the values, knowledge and skills necessary for effective leadership and to gain confidence to put these into action. Leading for the Future was developed with young people to help make rigorous leadership thinking simple but not simplistic. Different aspects of leadership are explored through a set of easy to use activities, focusing on building skills and putting these into practice. You can find the guide to download on the woodcraft folk website, or access a wide range of resources on our archive of learning from the project here. Leadership and Management is an introductory workbook for those who need a sound grounding in management theory and practice which is accessible and useable in a busy schedule. It has been well received as a freestanding resource and when accompanied by Practical Participation mentoring and support. There are over 170,000 known young carers in England. 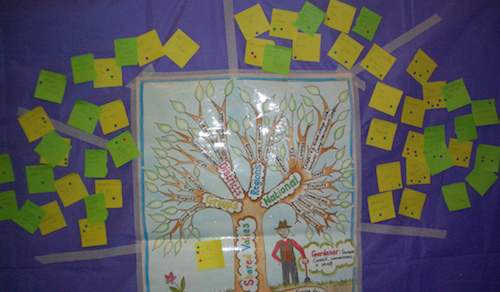 The Children’s Society Include project has being at the heart of promoting young carers’ voice and influence, leading to significant improvement in policy and practice across England and internationally these last 15 years. . Over the years Practical Participation has contributed in many ways to this movement, including through capacity building in local authorities and the third sector, developing resources such as the Engage Toolkit and in evaluating the projects. Jennie has worked with Young Carers in Focus (YCiF). Led and informed by young people, YCiF allowed young carers to communicate, share stories and campaign for the things that matter most to them. The YCiF network was developed by young carer ‘champions’, who received training and skills to help them raise awareness about the issues they and other young carers face. Not only did they reach out to other young carers across the country, they informed policy makers about the changes they want to see at local and national level. 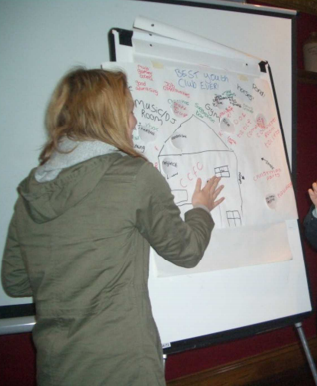 Jennie worked with a group of young people from the project to evaluate its impact. Jennie is continuing her support with further independent evaluation work. 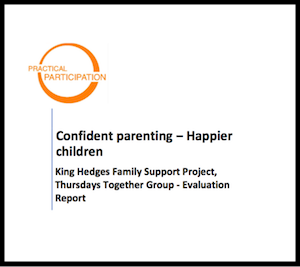 Thursdays Together is part of the King Hedges Family Support Project, Jennie worked with the to undertake an independent evaluation of the group run to support parents and carers of pre-school children in the area. The project aims to improve life chances by reducing isolation, increasing the health and well-being and life skills. It is an open access service with more intensive support available to all who might need it. Practical Participation is passionate about bottom up community-led neighbourhood change. Bill joined Big Local in 2012, a national programme managed by Local Trust through a National Lottery endowment of £220 million. Bill supports four of the 150 Big Local areas in England to enable residents make a difference to the things that matter most to them locally and to make their communities even better places to live. Each area has a budget of about £1 million to invest locally over ten years. It’s a vision of dynamic, resilient, resident-led change that Big Local wants to share, especially in these times of cuts and closures of much needed local services. Big Local is underpinned by an explicit community development approach seeking action and change. It requires community connection and conversation to help determine priorities as in Kirk Hallam. It needs effective communication with residents to ensure local accountability as in Allenton. And it needs to demonstrate positive action and change as in Boston. Bill works as one of 70 Big Local Reps to support Big Local partnerships to develop and deliver their plan based on local needs and priorities and to energise community connection and strengthen community pride through the local action and change achieved. Practical Participation retains its commitment to supporting groups and communities gain and use the knowledge and skills needed to be effective activists for positive change. Act by Right is a resource to support action and change that was first created by Bill Badham in 2004 and is still widely used. It arose out of a strong belief in children and young people’s right to activism and concern at the lack of robust and accessible resources to support this. It is based on a five stage journey and uses activities to grow knowledge and skills to better equip activists to build and sustain campaigns to make things better where they live or on the things that are important to them. It has been used widely among community groups at home and abroad including with young people in Palestine. 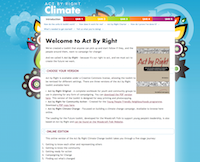 Alex Farrow developed a remix of Act by Right for Climate Change campaigning, which contains all the core Act by Right resources, plus some extra climate change related activities. It is available free online at www.actbyright.org.uk. The 360 Giving project set out a five-year ambition for open philanthropy in the UK: to see trusts and foundations reporting on the grants they give - supporting more informed, effective and transparent grant making across the country. Through a series of rapid research 'sprints', we delivered a prototype standard, and are now working to support the wider adoption of a fully developed data standard. 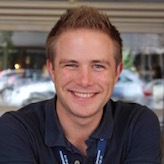 Working as a staff consultant at the World Wide Web Foundation, Tim was research lead for the IDRC funded CAD $2m two-year Exploring the Emerging Impacts of Open Data in Developing Countries (ODDC) project. Working with 17 partner organisations across 12 countries, the ODDC project combines research capacity building with in-depth research work to understand how open data is being used to affect governance and decision making in different settings around the world. 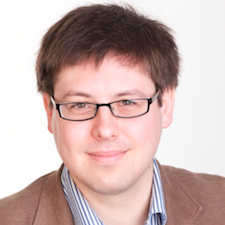 As part of this project, Tim also led the development of the Open Data Barometer, managing the research process in 2013 and 2014, and acting as lead author for the reports. 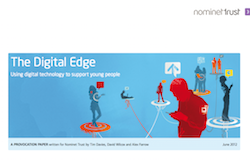 Working with David Wilcox, Tim and Alex put together a crowdsourced provocation paper on the role of technology to support young people, helping to shape the £2m Digital Edge Nominet Trust funding programme. David has documented the process of creating the paper over on the Social Reporters website. We combined online discussions, collaborative documents and face-to-face events to identify 10 key issues to consider in using digital technology to address key social challenges faced by young people. Alex then looked for existing online evidence related to the key messages to help deepen the insights shared in the report. The method we developed has gone on to be employed in a range of future projects. Get in touch to find more how we could support your work. Just drop an e-mail to any of the co-directors, or fill in the form below and we'll get back to you soon. Practical Participation Ltd is a limited company registered in England. Registration number: 05381958.